Home > Family Health > Does Bullying Start at Home? If you think that sibling rivalry can border on brutality at times, you won’t be surprised by new research from British scientists. 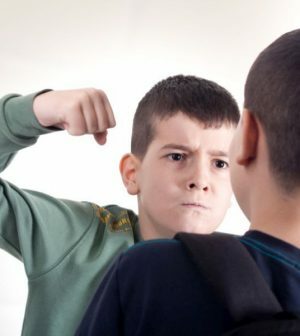 “Sibling bullying is the most frequent form of family violence, and it is often seen as a normal part of growing up by parents and health professionals, but there is increasing evidence that it can have long-term consequences, like increased loneliness, delinquency and mental health problems,” said lead study author Dieter Wolke, from the University of Warwick in England. “Bullying was more likely to occur in families with three or more children, and the eldest child or older brothers were more often the bullies. Female children and younger children were more often targeted,” said study co-author Slava Dantchev, from the University of Warwick. “Despite our cultural differences, humans are still very biologically driven. A firstborn child will have their resources halved with the birth of a sibling, and even more so as more siblings are added to the family,” Wolke said in a journal news release. “This causes siblings to fight for those limited resources through dominance,” he explained. It’s “important for parents to realize and understand that resource loss can affect an older child,” Wolke said. “It is a good idea for parents to manage this from the beginning by spending quality time with their firstborn or older children, and by involving them in caring for younger siblings,” he suggested.